LE LOT – UN APERÇU DU SOLEIL. As the week progressed the weather began to improve a little, sometimes the sun shone between showers. Managed a few short swims in the pool most afternoons and shivered myself dry. We even ate outside a couple of evenings. A friend lives in a nearby village, Martignac, where he is doing up an old house. 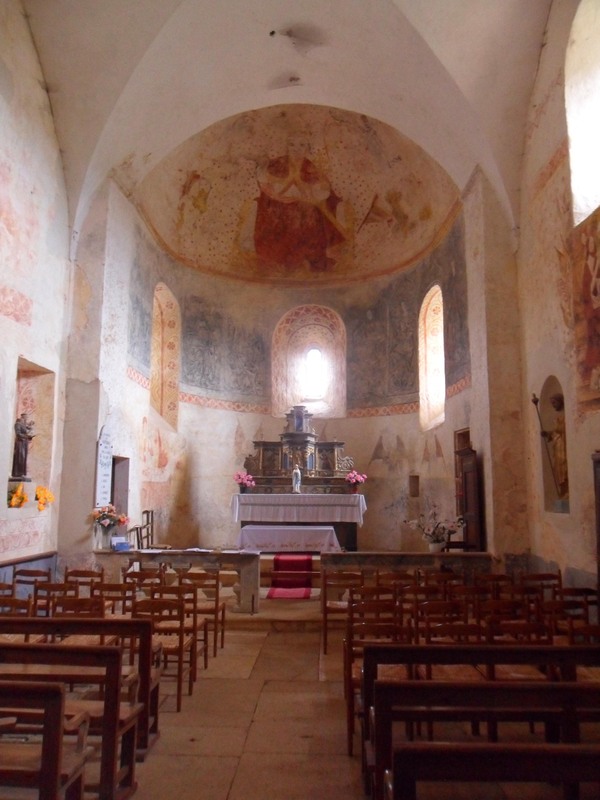 This is an interesting place with a 12th century church well known for its painted frescoes. We were invited for coffee and to see the progress in his renovations. Whilst the others would drive up I decided, as the weather was fair, to leave earlier and walk the 12k or so. From the house one goes on tracks through the vines passing the beautiful Chateau Gaudou, whose wines are available in England. 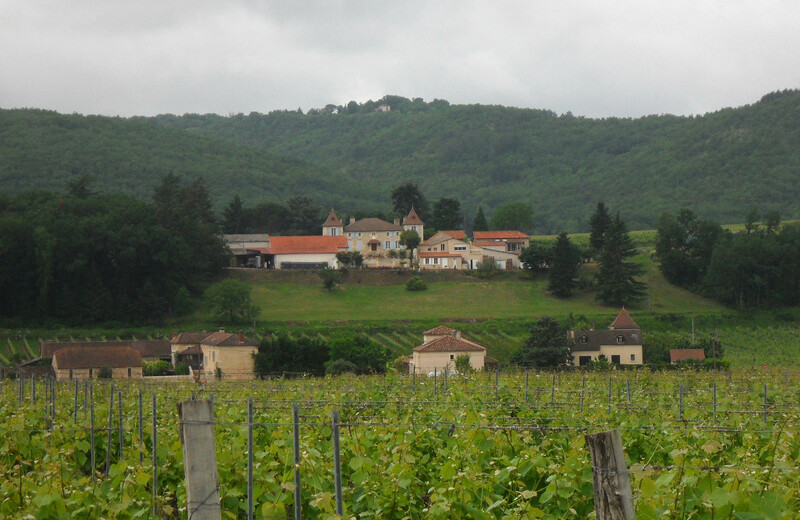 Looking back to Chateau Gaudou. Going over several small ridges you enter Puy-l’Évêque by a bridge over the River Lot. Here one has an impressive view of the medieval village with buildings dating back to the 13th century. 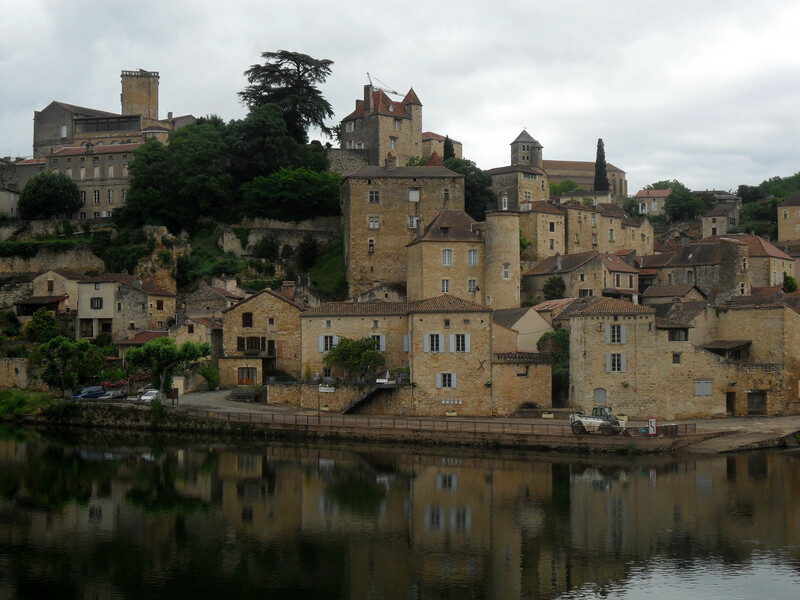 Wandering the alleyways of Puy-l’Évêque is like stepping back in history. This was once an important port on The Lot for timber, limestone and wine before the coming of the railways. In recent years the locks on the river have been restored in an attempt to make this section of The Lot navigable again. There are canoes available for hire on this stretch – great fun gliding down the river. As I walked up into the village I realised I was way behind schedule but luckily the others passed in the car and I was able to get a lift up the hill through the village for a couple of kilometers. I was dropped off so I could follow the old lanes up into Martignac. Further on you pass the village washhouse which has been recently renovated and provides a pleasant barbecue area. 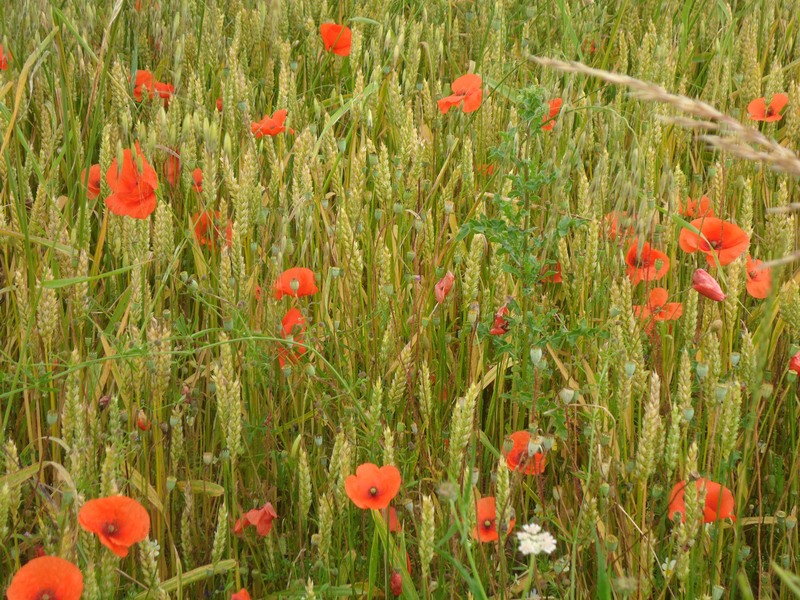 As you enter the village on the edge of a field there is a very good example of a caselle or gariotte. 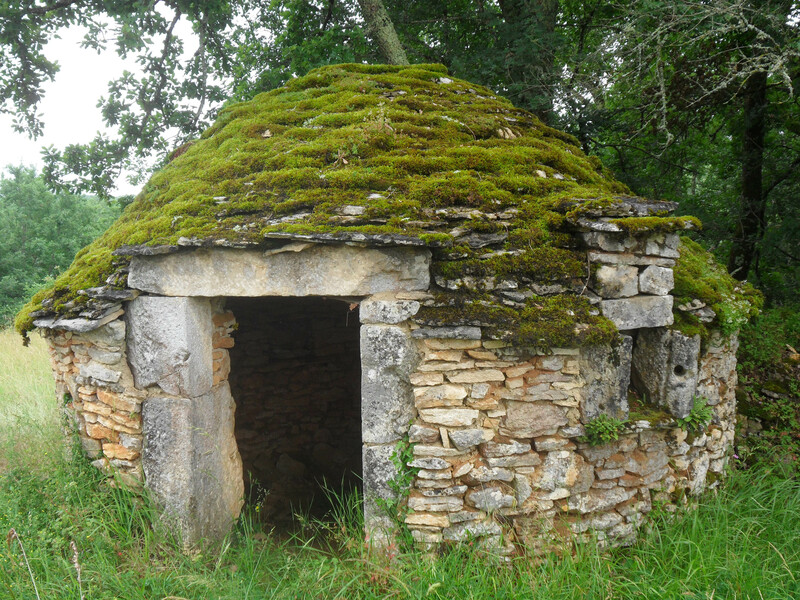 This is a dry stone hut once used as a shelter for shepherds in this area of France. 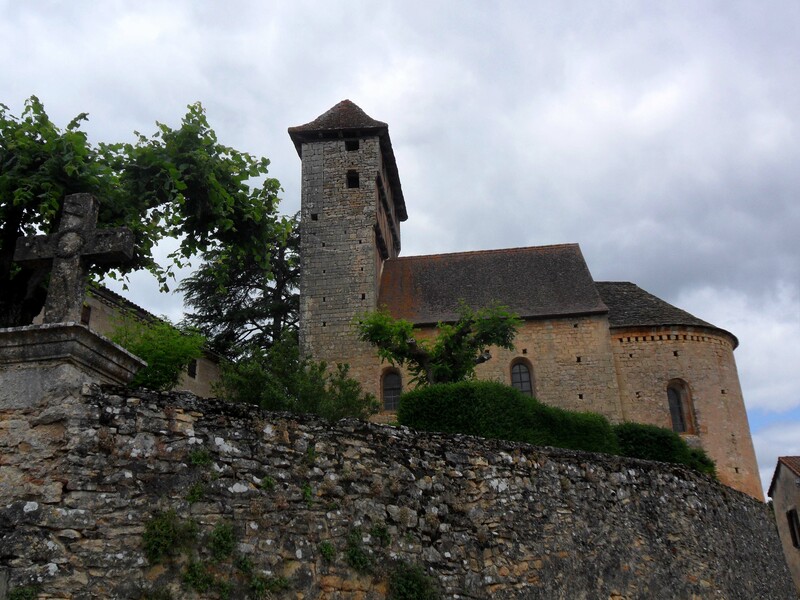 The village of Martignac consists of a few scattered houses [one restored wooden building was once a tobacco drying shed] surrounding the church which has a prominent elevated position. 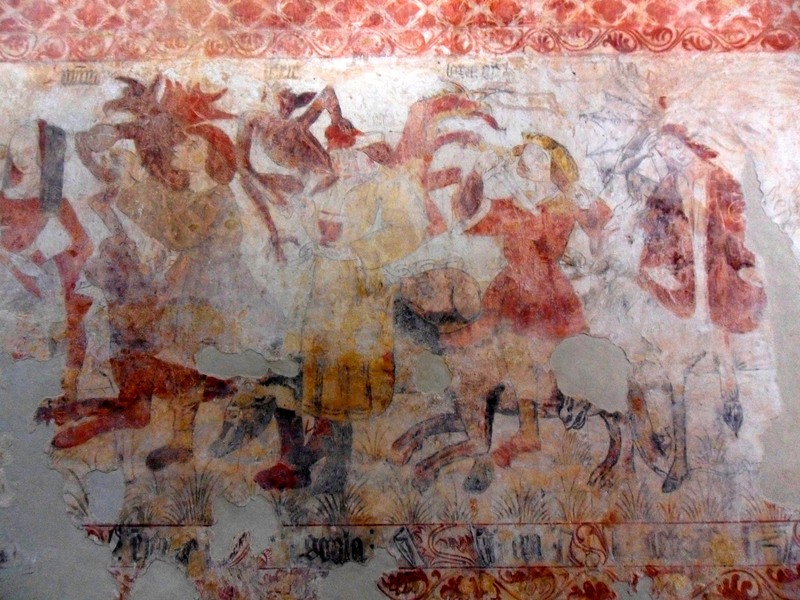 It is inside the church that the faded but still discernible wall paintings are the great attraction. Above the altar is the God of all the world. On one side are the Seven Heavenly Virtues and on the opposite aisle are the graphic and imaginative Seven Deadly Sins to scare the congregation! Our friend is doing well with his home improvements but I think he is enjoying the French social life a little too much to get his house finished on schedule. Can’t blame him – it must be good living out here. Didn’t have to walk back. 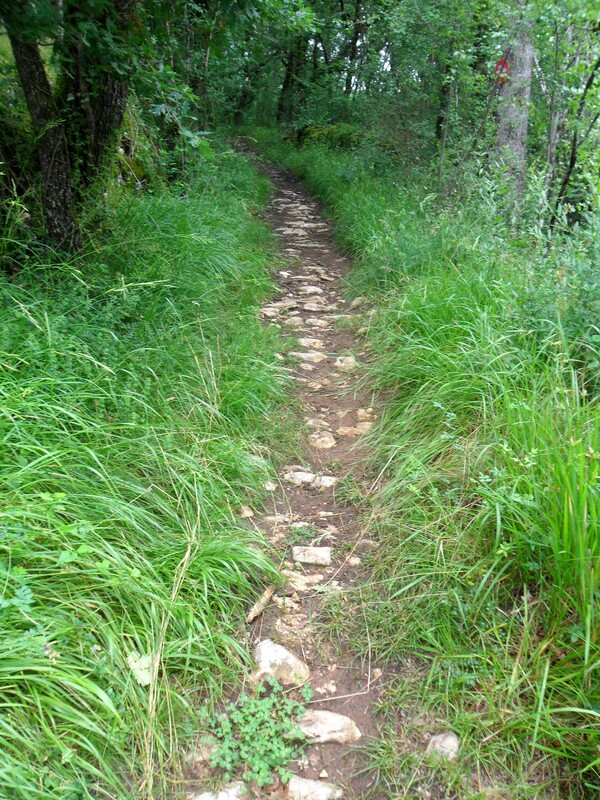 This entry was posted in France, Walking. and tagged France, The Lot, Walking. on June 29, 2013 by bowlandclimber. The best way to see France, or a different country is to be with the people who live there. I have always preferred the chambres d’hôtes, where I have often had the evening meal with the family. Here, you also are involved with what is going on, and walking anywhere gives you a much better feeling and insight for the place. All good stuff. 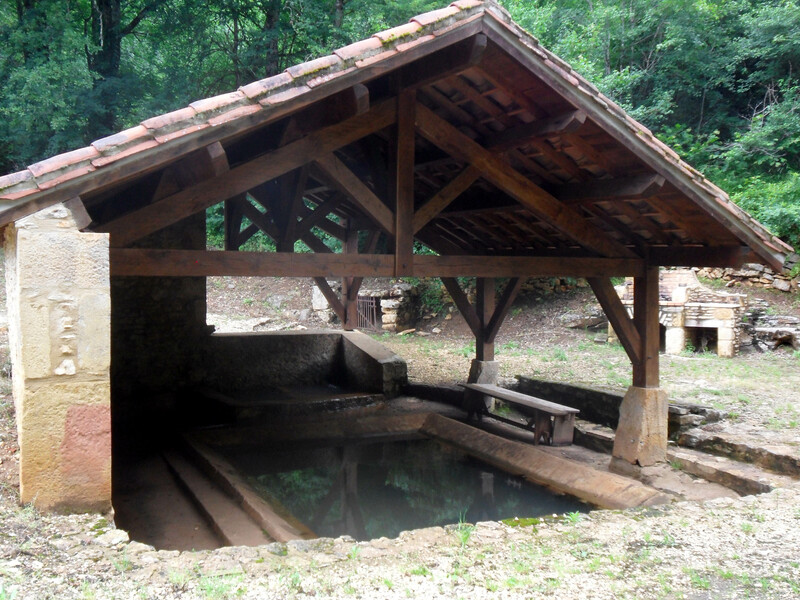 Can your friend in Martignac tell us who owns the track and little wash house as my daughter wanted to use it in a film she is trying to make in the region in Seotember.